Prepare yourselves for Arab TV's biggest comeback: The One and Only Sherihan is back! After a 14-year break from the industry, the Egyptian actress has signed a contract with Aladl Group to star in a new drama and a musical TV series. Famous for her iconic role in the TV series "1001 Nights," and many more successful series and films, the gorgeous 51-year-old will no doubt make a success out of her new productions. 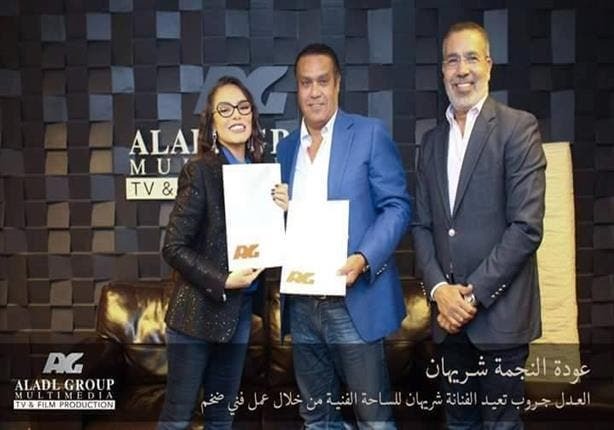 And to confirm the news, TV producer Jamal al Adel posted a photo of Sherihan with her brand new contract with Aladl Group. Good luck Sheri, we can't wait to see you in action again!